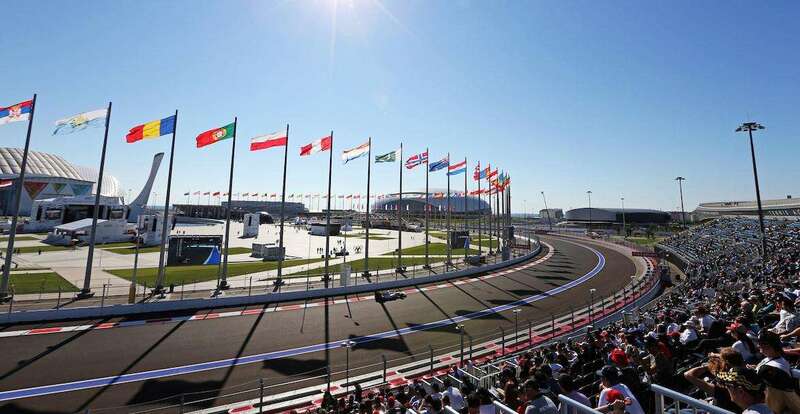 Start planning your trip to the Russian F1 Grand Prix! The next race at the Sochi Autodrom is on September 26-29, 2019. 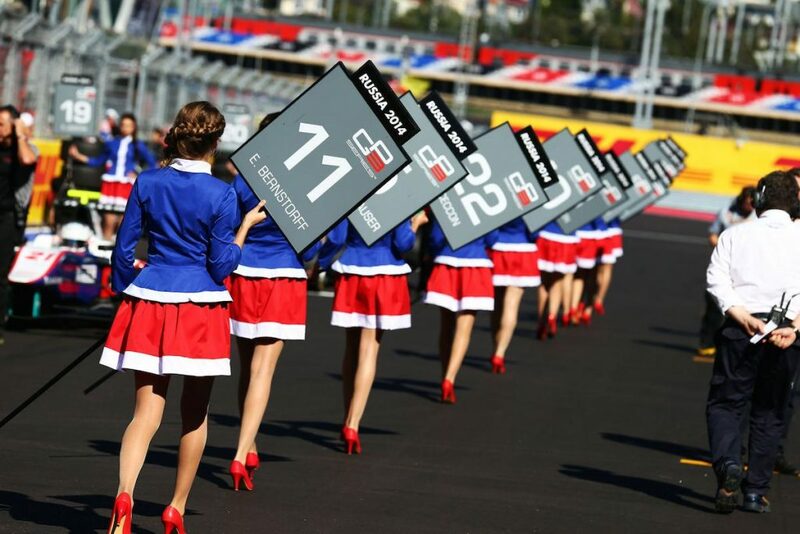 Images supplied by Sochi Autodrom. Located in the south of Russia close to the border with Georgia, and some 1600 kilometers (1000 miles) from Moscow, Sochi is known as Russia’s seaside playground. This popular city attracts millions of (primarily Russian) holidaymakers annually, who flock to its shores to bathe in the Black Sea and enjoy the city’s nightlife and dramatic mountainous backdrop. Sochi is perhaps best known internationally as the home of the 2014 Winter Olympics thanks to its impressive Krasnaya Polyana ski resort, 70 kilometers (44 miles) inland. As a result of this and the arrival of F1 in the same year, the city has received massive investment. Sochi is one of Russia’s most diverse cities and is home to over 100 ethnic groups, including Armenians, Ukrainians, Georgians and Greeks. Russian is most widely spoken and Sochi is predominantly Christian Orthodox. English is not widely spoken in Sochi and Russia uses the Cyrillic alphabet which can make even guesswork impossible for tourists. It’s worth learning a few handy Russian phrases before you arrive, and downloading a translation app like Google Translate which can convert into English through scanning text (on menus, for example) with your phone’s camera function. Do I need a visa to travel to Russia? The short answer is yes. The majority of foreign tourists need to obtain a visa to enter Russia; click here for the list of mainly ex-Soviet countries which DO NOT require a visa. If you wish to apply for a visa at your closest Russian consulate, you’ll first need to obtain a ‘Tourist Voucher’ and a ‘Tourist confirmation’ document stamped and signed by an authorized person. They can be obtained through your hotel or an approved travel agent who deals with trips to Russia, and should be valid for the entire duration of the trip. The stamp and all details should be clearly readable​. The price of the visa itself (single-entry) varies from £30 GBP for UK citizens to $160 USD for Americans. If you decide to use a travel agency rather than going to the consulate yourself, you will normally pay another $50-100 for them to do it for you, but this will save queuing at the consulate. Don’t forget that you also have to register your visa after you arrive in Russia, which can easily be arranged for free by your hotel (more info here). Sochi is a safe region of Russia, though as always travelers should exercise caution when out and about: avoid unlit areas and beware of pickpockets in crowded spaces. Avoid drinking or gambling with new acquaintances, though most scammers and fraudsters will struggle to speak English. Also be warned that cars always have right of way over pedestrians in Russia, so being hit by a car can actually place you at fault. If you’ve seen any Russian dashcam videos on YouTube you will know that Russian driving standards are poor, so please exercise extra caution when crossing the road. The good news for foreign tourists is the Russian rouble (RUB) has weakened considerably in recent years due to lower energy prices, making a trip to Sochi a lot cheaper. As of November 2018, 100 roubles equates to 1.19 GBP, 1.34 EUR and 1.53 USD. Sochi has plenty of ATMs and money exchanges can be made at banks and official bureaux as long as you have your passport on hand. Visa and MasterCard are widely accepted in Russia, but American Express less so. It’s customary to tip around 10% in Russian restaurants, unless there is a service charge included in your bill. Sochi has six hospitals and most big hotels have an on-call doctor or nurse, though sometimes callouts will be chargeable. Save yourself a trip to the pharmacy – who may not speak English – for routine health issues such as a cold or stomach upset by bringing along a few over-the-counter medicines with you. Last but not least, make sure you organize decent travel insurance before traveling to Russia. The Russian Grand Prix has moved around the calendar in recent years. Previously held in April, in 2019 the race will be held at the end of September, meaning that it falls at the beginning of autumn. Sochi is in the subtropical zone of Russia, so you can still expect pleasantly warm ‘T-shirt weather,’ with average highs of around 25°C (around 77°C). The water temperature in the Black Sea should also still be good for swimming. Time zone: Sochi is GMT+3. You drive on the right-hand side of the road in Russia. The country telephone code for Russia is +7. Sochi is located in the Krasnodar Krai oblast, which has the regional dialing code of 861/862. Russia uses type C and F power sockets, just like the rest of Europe. If you are coming from the UK, USA or Australia, you will need an adapter. Been to Russia? Leave a comment with your travel tips! Guide to buying tickets for the 2019 Russian Grand Prix at the Sochi Autodrom on September 27-29. Save up to 20% until April 30, 2019. What to do in Russia’s winter/summer capital when you are in Sochi for the Russian Grand Prix. The next race takes place on September 26-29, 2019. Your trackside guide to the Sochi Autodrom and the Russian Formula 1 Grand Prix, including the on-track schedule. 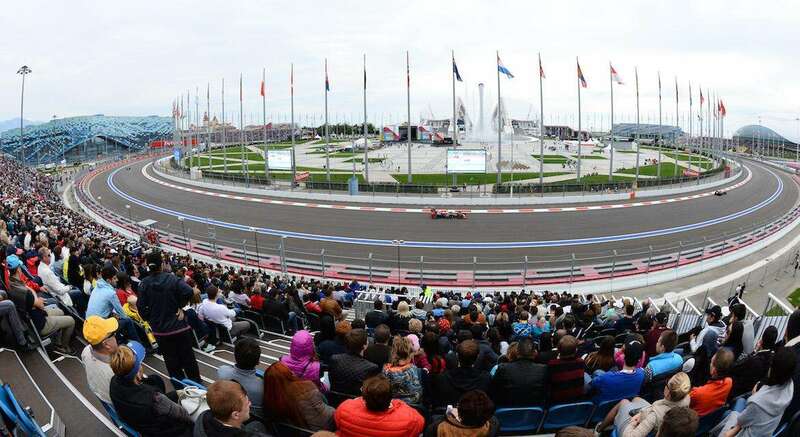 How much does a weekend at the Russian Formula 1 Grand Prix in Sochi cost? Read on to find out. The next race is on September 28-30, 2018. How to get to Sochi for the Russian F1 Grand Prix, plus information on getting to the track and around the city. Where to stay for the Russian Grand Prix. The best budget, mid-range and luxury hotels close to Sochi Autodrom and in central Sochi.